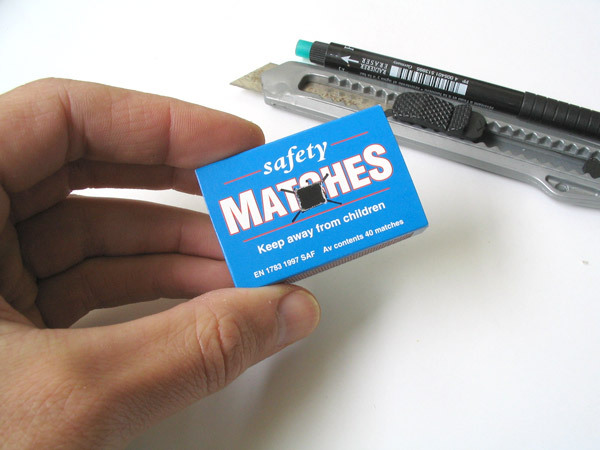 Remove the inner part of the matchbox, the match tray. Mark out a 24mm square exactly in the centre of the match tray. Alternatively, if you want standard format rectangular photos (some photo labs will find these easier to print) mark out a 36mm x 24mm rectangle. Carefully cut out the frame shape with a sharp knife, keeping the edges as neat as possible, or if you prefer, make it messy, it's up to you! Any rough edges and card fibres will appear around the edges of each photo. 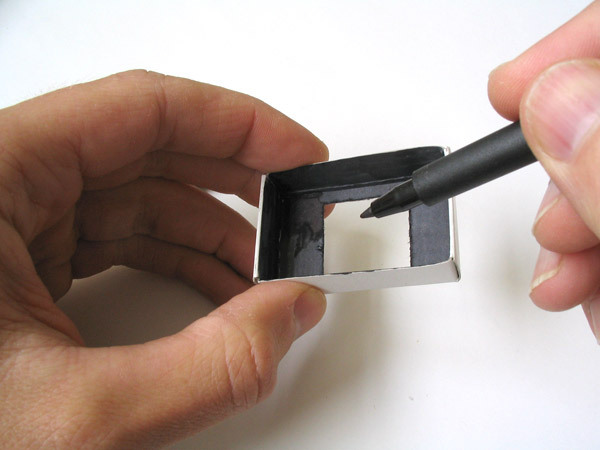 To reduce internal reflections in the camera, colour in the inside of the tray with a black felt tipped pen. 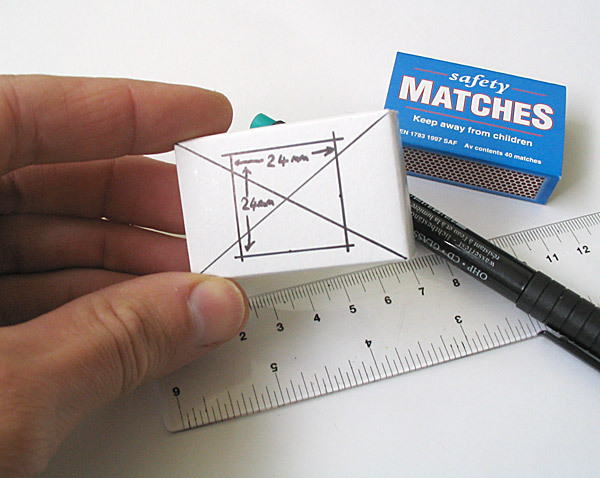 Exactly in the centre of the front of the matchbox sleeve, mark out a 6mm square. 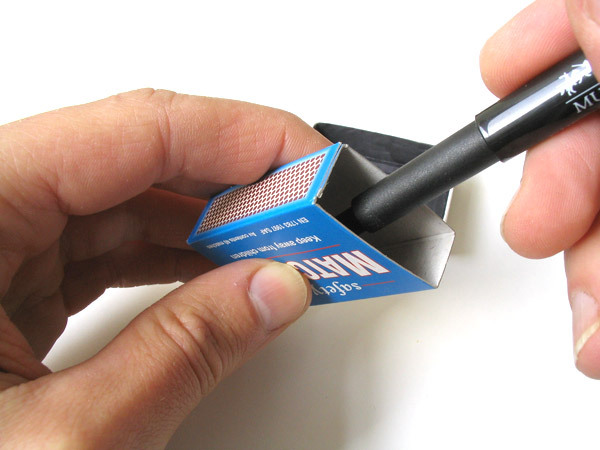 Carefully cut this square out keeping the edges as neat as possible to avoid fluffy fibres obscuring the image.